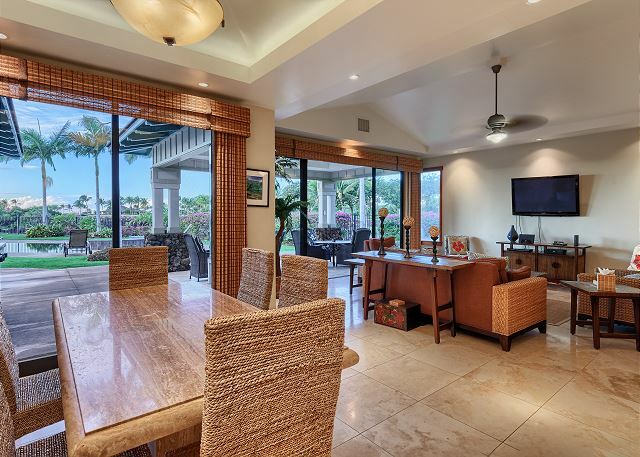 Enjoy all the luxuries of Kolea at Waikoloa Beach Resort at this 5 bedroom ocean view home. 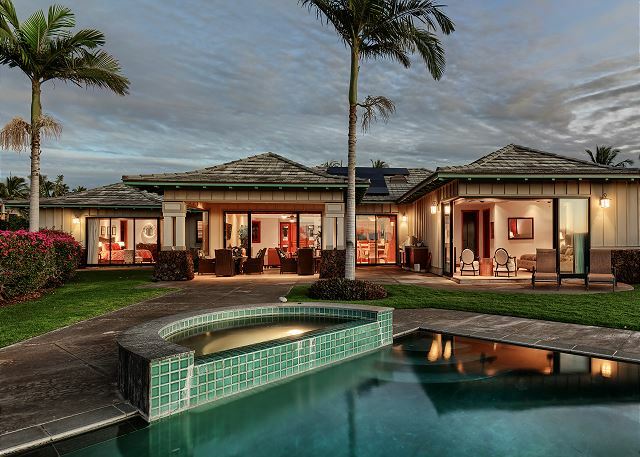 This 5 bedroom home offers all the luxuries of the beachfront community of Kolea at Waikoloa Beach Resort with ample space for any family. 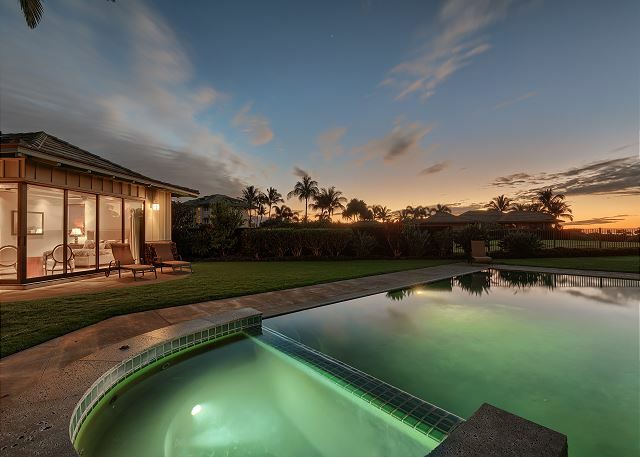 With its own private pool and tropical landscaping any guest is sure to feel at home in Hawaii. Just off the entry to the house is the great room. Located here is a nice living area with a couch and chairs facing a wall mounted big screen television with a DVD player. On the other side of the great room is the spacious kitchen that has been professionally designed. There is ample storage, small appliances, and cookware. Professional grade stainless steel appliances including a microwave, two ovens, and a stainless steel refrigerator are at your use. 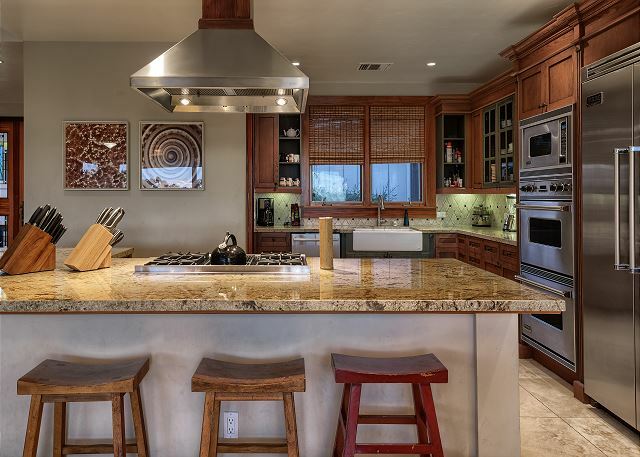 The large granite island has a gas stove and ample space for preparing dinners. Adjacent to the kitchen is the dining area, which has seating for six. The great room overlooks the back lawn area and has views of the ocean. 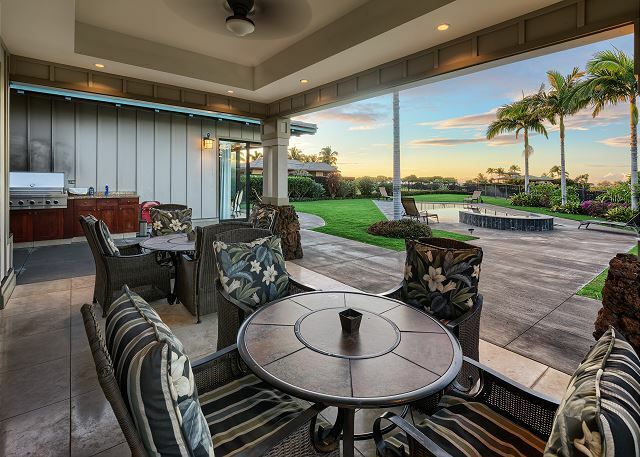 The lanai offers two seating areas for 4 people each and a stainless steel grill with a wine refrigerator. 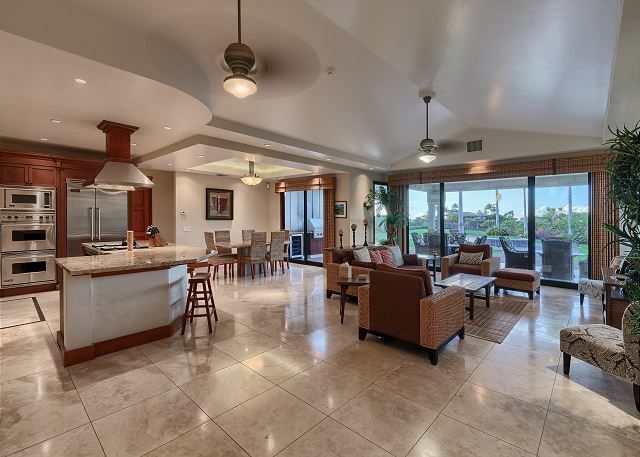 Just steps off the lanai is the pool with a jacuzzi. There is ample lawn and lounging space around the pool with lounge chairs available. 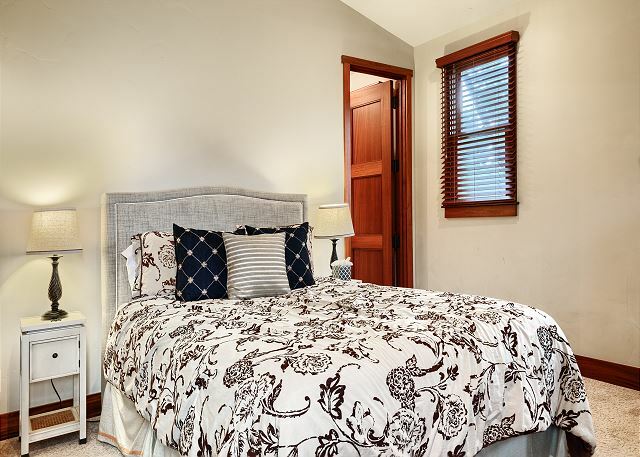 On one side of the house is the master bedroom and a guest bedroom. 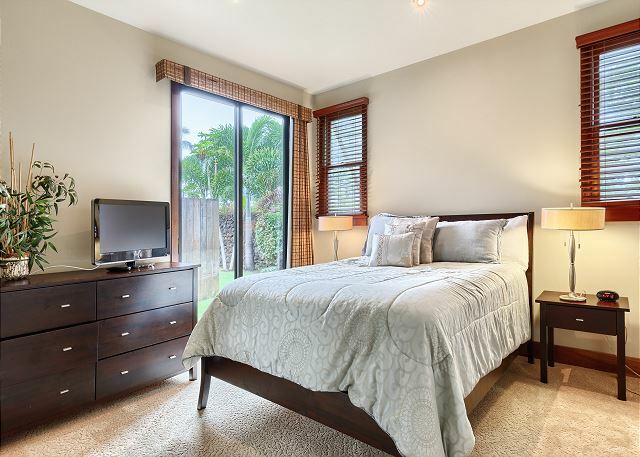 The master bedroom is spacious and has a king size bed with bedside tables facing an armoire that houses a LCD television and DVD player. There are also two chairs for lounging. 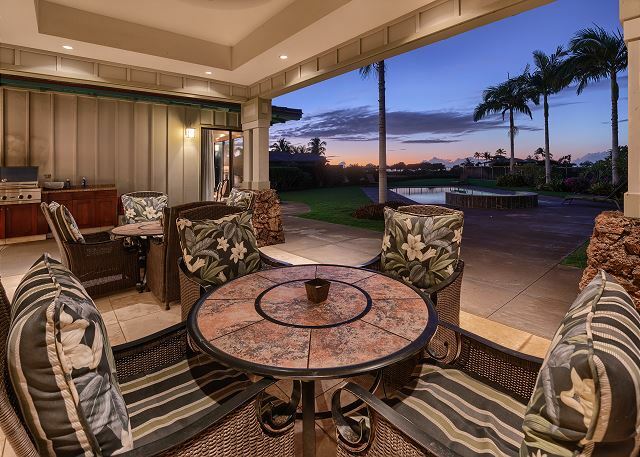 Open the large doors to the lanai area and view! 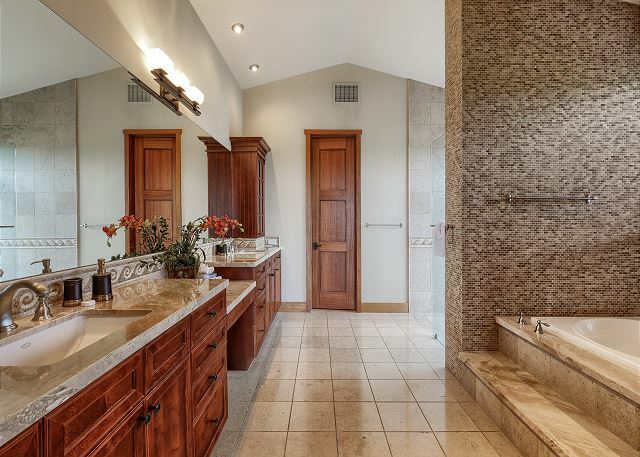 As you pass the large walk in closet you will reach the master bathroom. 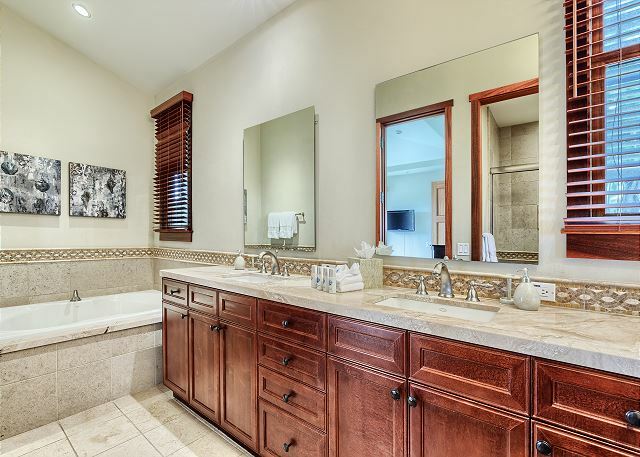 This spacious bathroom has dual vanities, a deep soaking jacuzzi tub, and a large walk in shower. The guest bedroom on this side of the house has a queen size bed facing a LCD television on a chest of drawers. The attached bath has a vanity with a tub/shower combo. On the other side of the house are three more guest bedrooms. The first guest bedroom has a queen size bed with bedside tables facing a wall mounted LCD television. 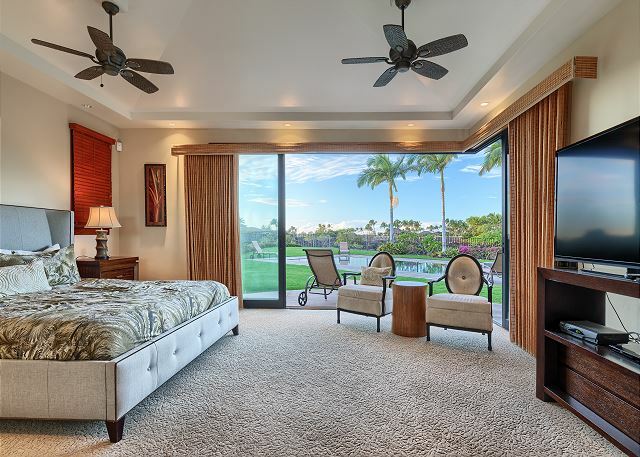 This bedroom also opens up to the lawn area and view. 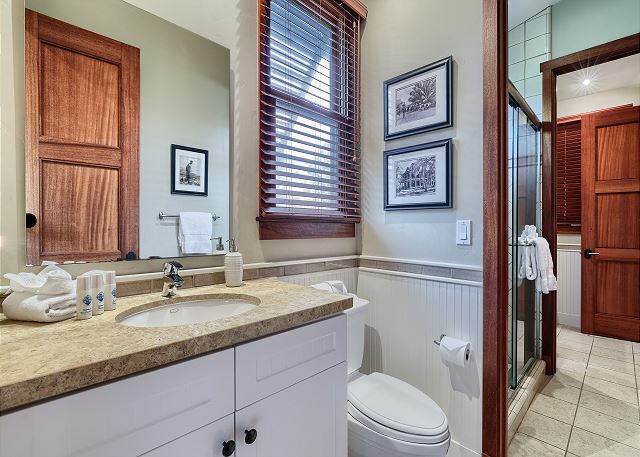 The attached bath has a deep soaking jacuzzi tub with a walk in shower and dual vanities. 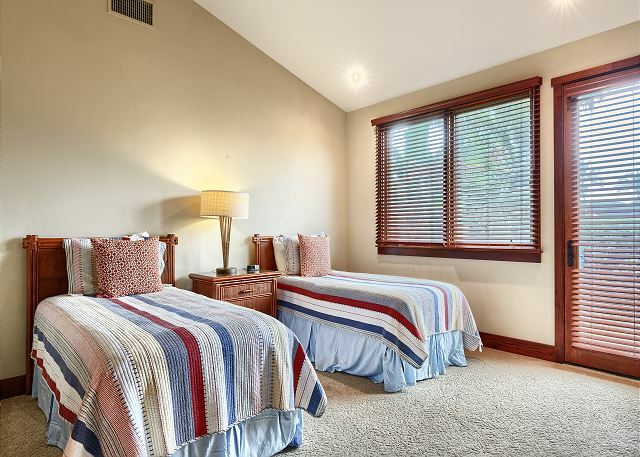 The second guest bedroom has two twin beds facing a LCD television with a DVD player. The third guest bedroom has a queen size bed facing a LCD television. Both of these bedrooms share a bathroom that has a tub/shower combo and dual vanities. Other features of this 5 bedroom Kolea house are multiple zone air conditioning, wireless internet, and a full size laundry room. Cancellation Policy: We will process the deposit within the next 24 hours and send you a confirmation email. The rent is due 60 days prior to arrival. If you must cancel prior to the rent being paid, the deposit is lost. If you cancel after the rent is paid, the rent is lost unless we are able to rebook the property. The deposit is charged at the time of booking. If your stay is within 60 days of making your reservation, all charges will be processed at the time of booking. 4/5 stars Review by Shauna W.
We spent 8 nights in house 16 and we loved our stay. The house is roomy and we never felt like we were stepping on each others toes. The kitchen is very well equipped with everything you need. My only complaint would be the patio furniture is worn out and dirty and the hot tub was dirty. Would I stay there again?? Yes without a doubt!! 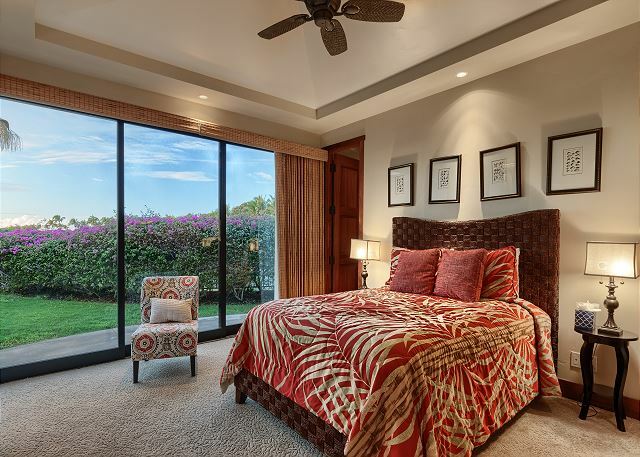 Kolea is an exclusive, gated beachfront community in the Waikoloa Beach Resort on the Big Island of Hawaii. Comprised of several different rental properties perfect for vacationers, Kolea offers the vacation experience of a lifetime with oceanfront views, fast access to the beach, plenty of swimming and relaxing by the pool or beach, and many other things to do around the resort, such as shopping and dining at many different establishments around Waikoloa. Guest of Kolea may also access the Kolea Beach Club, a private club with several amenities needed for a relaxing vacation. 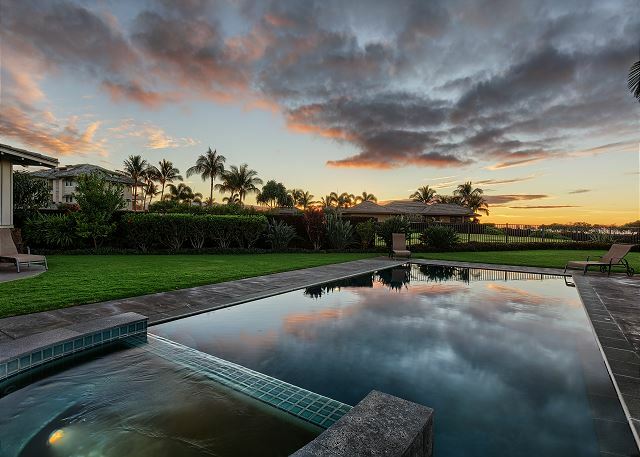 There is an infinity pool surrounded by lounge chairs, a kids pool with a waterfall and sand bottom, views of several pristine Hawaiian ponds, and a refreshing lava rock Jacuzzi. 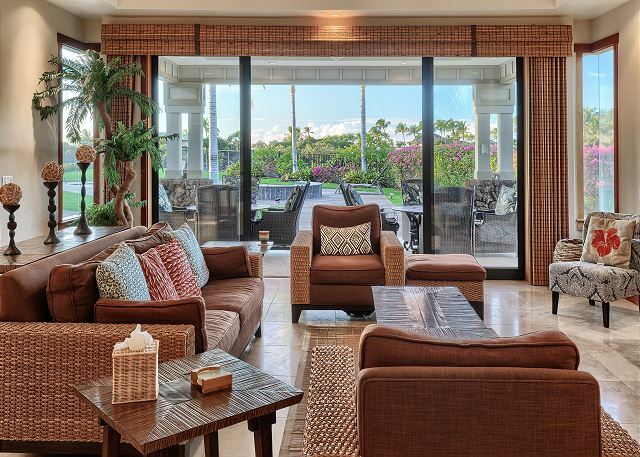 Inside the Kolea Beach Club, there is also a fitness center, tables, and lounging areas to enjoy games or relaxing dinners.